The proposed rule—which was developed with input from court leaders, the Legislature, the news media, labor groups, and the public—recognizes the importance of open meetings, especially on matters concerning the judicial branch budget. The rule is intended to balance the importance of open meetings with significant judicial branch concerns, including ethics constraints for judicial officers who volunteer to serve on such bodies, staffing and other resource limitations, and the need to maintain an effective rule-making process. The council’s two-day public business meeting is scheduled for April 24, from 12:30 p.m. to 5:30 p.m., and for April 25, from 8:30 a.m. to 3:35 p.m. at the Judicial Council Conference Center, Hiram Johnson State Office Building, Third Floor, Ronald M. George State Office Complex, 455 Golden Gate Avenue in San Francisco. Fiscal Year 2014–2015 Allocations from State Trial Court Improvement and Modernization Fund: The council will consider a recommendation from its Trial Court Budget Advisory Committee to allocate funds from the State Trial Court Improvement and Modernization Fund for various projects and programs that support the trial courts. New Fiscal Year 2014–2015 Budget Request for Trial Courts: The council will consider a recommendation from its Trial Court Budget Advisory Committee to request a $70 million General Fund ongoing augmentation to the Trial Court Trust Fund (TCTF) to address a projected shortfall in civil fee and criminal-case-related revenues that support trial court operations. Maximum Reimbursement of Unused Savings for Court Interpreter Expenditures: The council will consider a recommendation from its Trial Court Budget Advisory Committee to approve a maximum reimbursement from the TCTF Program 45.45 unused savings for newly eligible costs related to court interpreters for appearances in domestic violence cases, family law cases in which there is a domestic violence issue, elder or dependent adult abuse cases, and for indigent parties in civil cases. 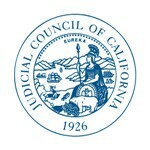 Court Facilities—Capital Program Management Manual: The council will consider a recommendation from its Court Facilities Advisory Committee to approve the AOC Judicial Branch Capital Program Management Manual, which will guide the strategic management of the judicial branch’s courthouse construction program. The manual was prepared at the council’s direction as one of the recommendations of the California Courthouse Capital Program Management Audit Report prepared by Pegasus Global Holdings, Inc., which was adopted by the council in October 2012. Education Item: Criminal Justice Realignment—Background, Initiatives, and Next Steps: As part of its educational agenda, the council will receive an update on: the sentencing changes and new roles and responsibilities of the courts; state and local government representatives’ roles, efforts, and observations related to implementation of realignment; new or expanded local court programs that address local needs; and the next steps for continuing to work on realignment issues.